It’s been an extremely busy month at Entyce Creative with work happening on lots of exciting projects. One project which has recently been finalised and which we are excited to reveal is the newly launched website for flapjack brand Brynmor. 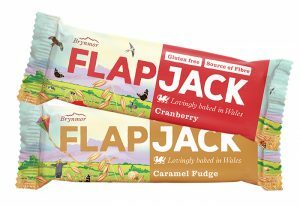 Brynmor flapjacks are baked just down the road from us in beautiful North Wales and the delicious and nutritious flapjacks come in a range of exciting flavours. 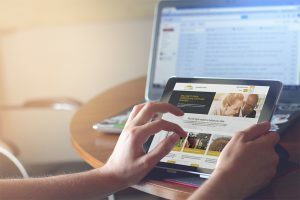 When the marketing team behind the brand asked us to pitch for the design and development of a website to launch the brand to the UK market, we knew it was one we wanted to get involved in. When we began working with the team at Brynmor they had a clear vision of what they wanted. With successful sales of their products internationally the brief was to introduce the brand to a broader UK market. They wanted to be able to sell their products direct via the website so needed an ecommerce site. The site also needed to communicate effectively with two clear audiences, end consumers and stockists which would include major retailers and wholesalers as well as smaller independent stores. In addition to the design and development of the website we were charged with creating engaging, captivating, copy and a selection of photography which would convey the brand and do justice to the quality ingredients used and their delicious flavours. Along with the new website we were asked to create an animated video featuring Bryn, a character already featured on their packaging. The video is included on the website but will also be key to their ongoing online advertising campaigns. With this in mind the video needed to work across a range of channels. We produced one long video and three shorter edits which stand alone and can be used on social media and in presentations. The recently launched website portrays the adventuring spirit of the brand, is engaging, easy to navigate and allows customers to quickly order their favourite flapjacks direct from the website. Brynmor is all about adventures, the great outdoors and enjoying healthier snacks without depriving yourself of a treat. This is captured in the design of the website through the illustrations of the outdoors and countryside which feature across the website and videos. Provenance is also portrayed through clever use of an illustration of a daffodil covered map of Wales. The mouth-watering descriptions in the copy ensure that flavours and taste are never forgotten and this is reinforced with some stunning food photography. Take a look at the new website here. Are you looking for a new website for your product or service? Get in touch today to find out more about our web development services.